For healthcare organizations, email can be a valuable tool for population health management efforts. But how do you ensure that your emails are getting read? That’s a question that Murray Friedman, digital marketing director at Aurora Health Care (which recently became Advocate Aurora Health), takes seriously. 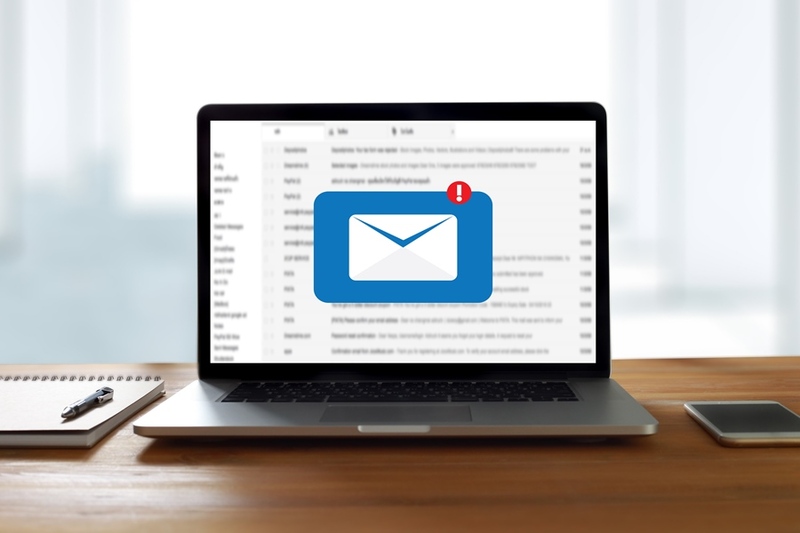 As Aurora has introduced email campaigns for population health efforts, Friedman uses a mix of data, A/B testing, and brainstorming about calls to action (CTAs) to increase the chances that audiences will open, read, and act on those emails. • Target your audience. “Population health is all about reducing cost of care, improving quality of care, and doing what makes sense for the patient,” Friedman says. When you send out communications, you have to make sure you’re targeting the right group relative to the goal you’re trying to achieve. That’s a basic marketing principle that applies to any campaign, and the narrower and the more specific you can be—the better. “Saying we’re targeting women over 21 is not targeting,” adds Friedman. Given these results, the second subject line was used for a mailing to 1,700 women. Ultimately, 35.6 percent of those women came in for a mammogram, a 5.6 percent increase relative to the proportion who came in from a control group that received no communications. • Put your personal feelings aside. Friedman notes that for some of Aurora’s campaigns, he was convinced one subject line would do better than another, but the data proved him wrong. “No matter what your opinion is, you might not be right, so that’s why we test and let the data inform our conclusions,” he adds. • Be visual. Friedman’s team launched a three-part email series on how to reduce avoidable emergency room (ER) visits. 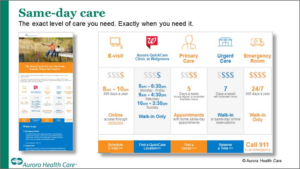 Because there’s an extensive amount of information to communicate on this topic, the team created a handy chart that showed the differences between an e-visit, an Aurora Walgreens visit, primary care, urgent care, and ER visits (see figure below). The chart compared costs and hours and included a CTA about scheduling each visit. “The response to this campaign, which targeted 35,000 households, was surprisingly positive,” says Friedman. Although the campaign will continue to be evaluated, initial results comparing avoidable ER visits six months pre- and post-email showed a 16 percent drop in such visits among the group that received the email series. Want to learn more? Exclusive benefit for Forum Members: Listen to Murray Friedman’s session from the 23rd Annual Healthcare Marketing & Physician Strategies Summit. This article was written by Jessica Levco, contributing writer for Healthcare Strategy Alert, and Debbie Reczynski, editor of Healthcare Strategy Alert and Director of Publications and Program Development for the Forum for Healthcare Strategists. For more information, contact dreczynski@healthcarestrategy.com. 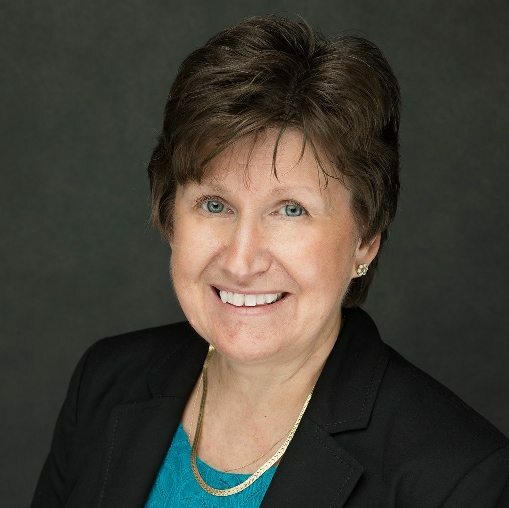 Debbie Reczynski is Director of Publications and Program Development for the Forum for Healthcare Strategists.